There are differences in the types of ultrasounds done during pregnancy. All ultrasounds use sound waves to create a picture. The old standard is a 2D or two-dimensional image. In recent years, ​3D or three-dimensional images, and now four-dimensional images or 4D, have become popular. However, 3D and 4D ultrasounds are not considered standard prenatal tests and insurance may not cover the cost of these types of ultrasounds unless your doctor deems them medically necessary. 2D ultrasound gives you outlines and flat looking images, but it can be used to see the internal organs of the baby. This is helpful in diagnosing heart defects, issues with the kidneys, and other potential internal issues. 3D images are used to show you three-dimensional external images that may be helpful in diagnosing issues such as a cleft lip. What 4D ultrasound brings to the table is that as the image is continuously updated, it becomes a moving image, like watching a movie. Each of these types of ultrasound has advantages and disadvantages. Many families prefer the 3D images because they look more like what they perceive a baby to look like in real life than the flatter 2D images. You should talk to your doctor or midwife about the type of ultrasound he or she uses and why. 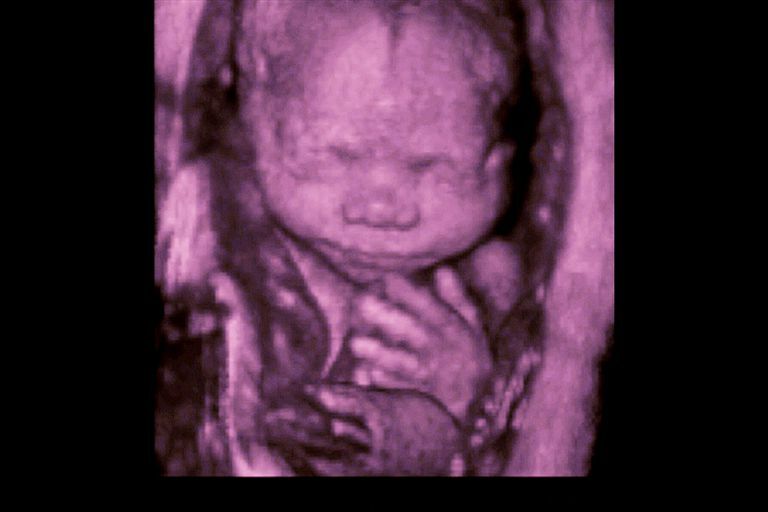 If your doctor or midwife doesn't offer you a 3D or 4D ultrasound and you'd like one, ask him or her about it. The Food and Drug Administration (FDA) does not recommend that you get ultrasounds done for fun or bonding purposes, citing the use of ultrasound as a medical technology. This means that you should avoid places that offer ultrasounds that are not recommended by your doctor or midwife since the amount of time you and your baby are exposed to the ultrasound may not be limited and the ultrasound may not be performed properly. While ultrasound is considered safe, there is no research to indicate what prolonged exposure to ultrasound may do to a baby. American College of Radiology. Practice Parameter for the Performance of Obstetrical Ultrasound. Medline Plus. Ultrasound Pregnancy. U.S. National Library of Medicine. U.S. Food and Drug Administration (FDA). Avoid Fetal "Keepsake" Images, Heartbeat Monitors. U.S. Department of Health and Human Services.